After failing to secure a table at Ted’s Lookout, we decided to head over to Plaza Mayor around the corner for some tapas instead. I haven’t been to the Star Street area in a while, and it’s amazing how many new places have opened up in the last year. 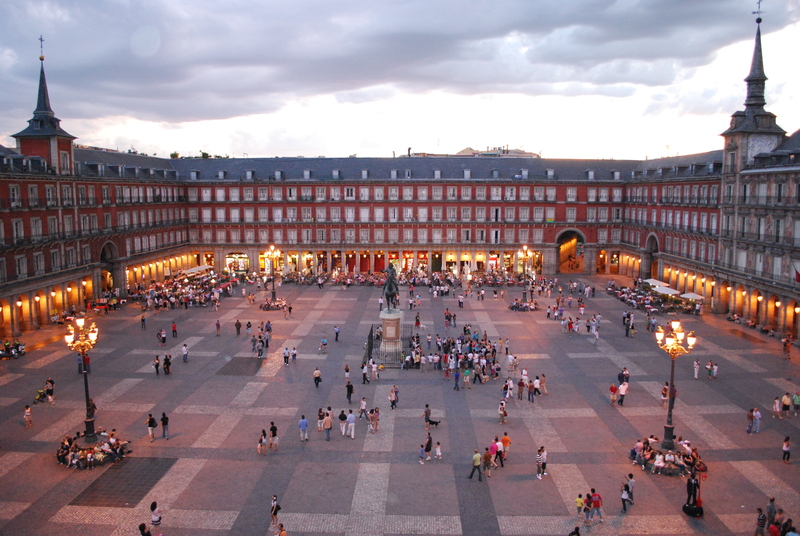 Named after a stunning central plaza in Madrid, it was a grand name to live up to. Sadly, it didn’t quite do so. 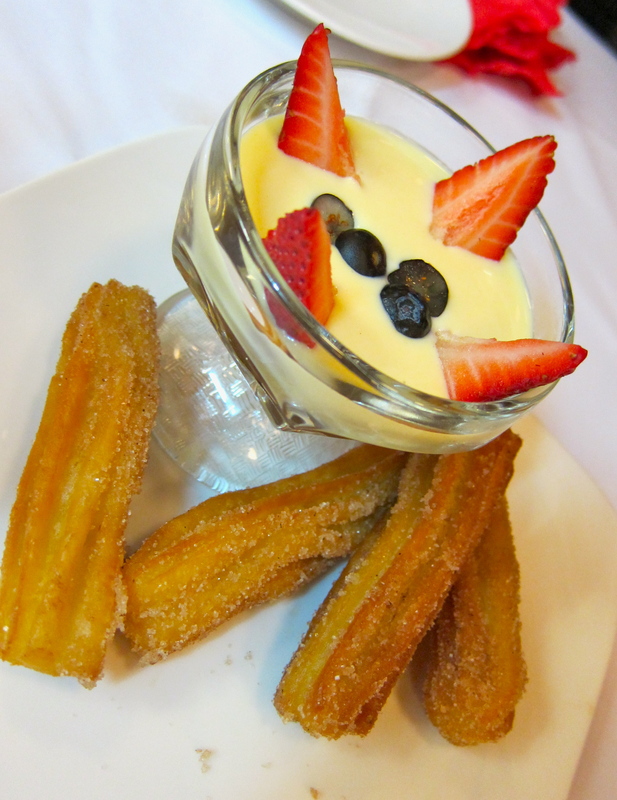 At Plaza Mayor, you can choose between small and large portions. 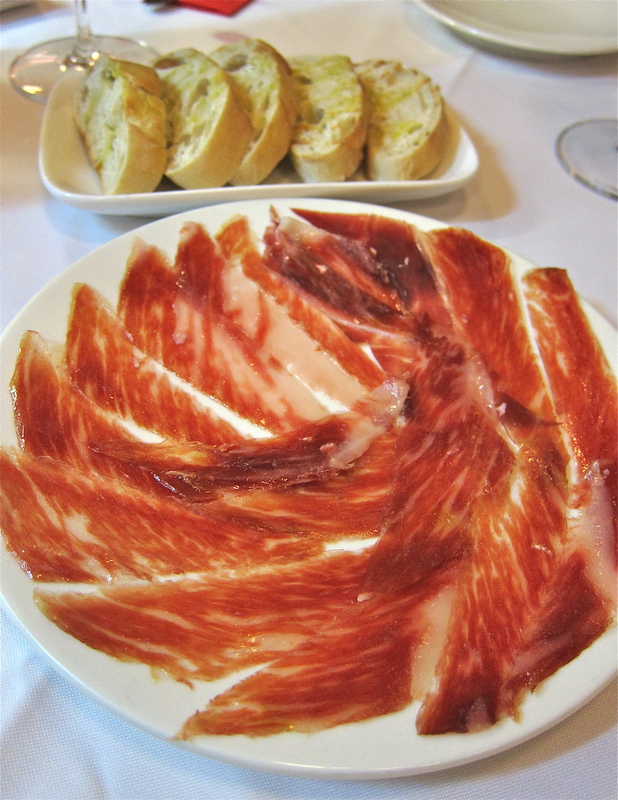 We started off with a small portion of 50% Ibérico Ham (meaning that the pig that the ham came from had only one parent that was an Ibérico pig). The ham was tasty, although the bread was a bit stale. 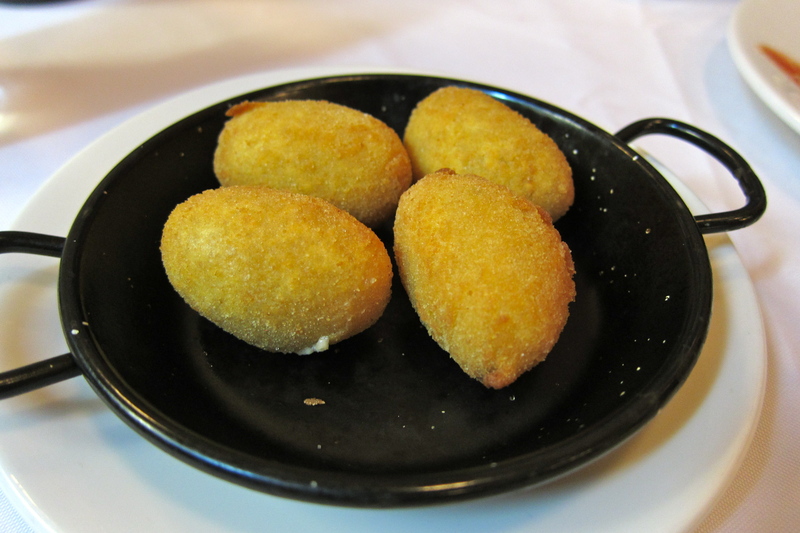 The croquettes were a waste of calories – very rarely do I refuse a croquette, but I had one bite and pushed it aside. They had a taste and texture of something taken out of the packet and stuck under a grill. 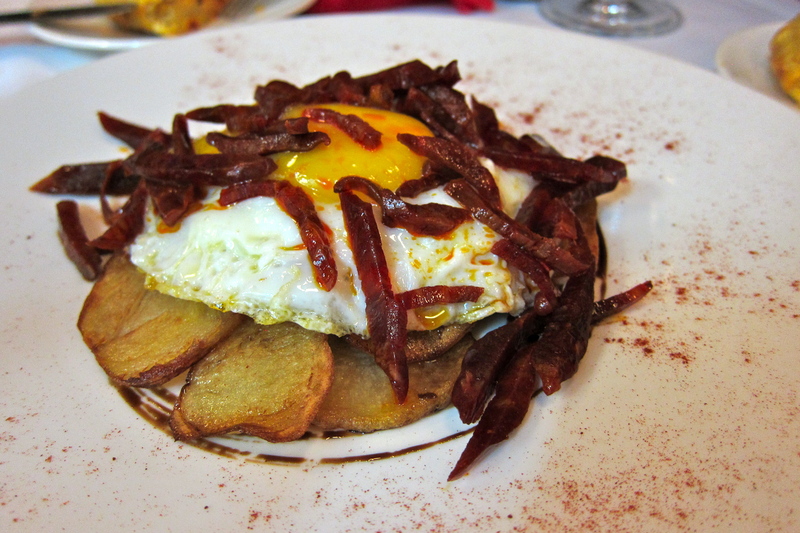 These Huevos Estrellados were an improvement on the meal, with crisp fried potatoes and a generous helping of chorizo. However, after trying the same dish at Solero in Discovery Bay, this paled in comparison. 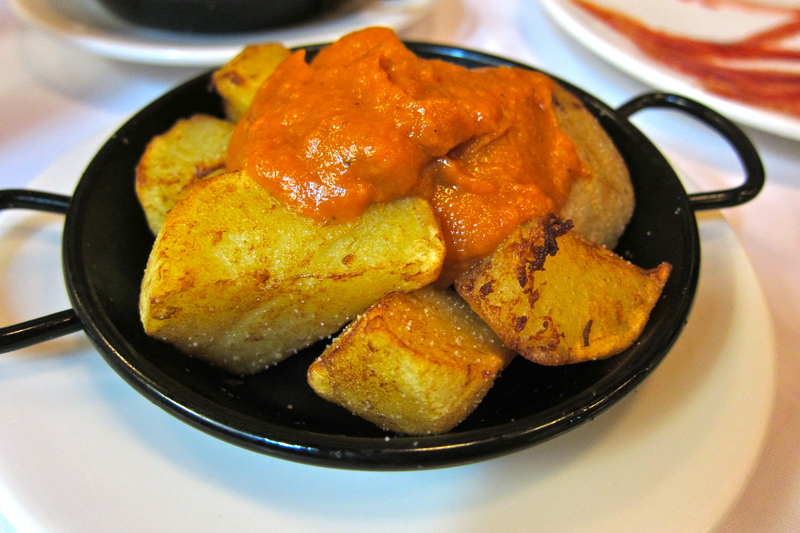 Again, the patatas bravas were decent, and the spicy sauce had a nice warm flavour to it, but otherwise unmemorable. 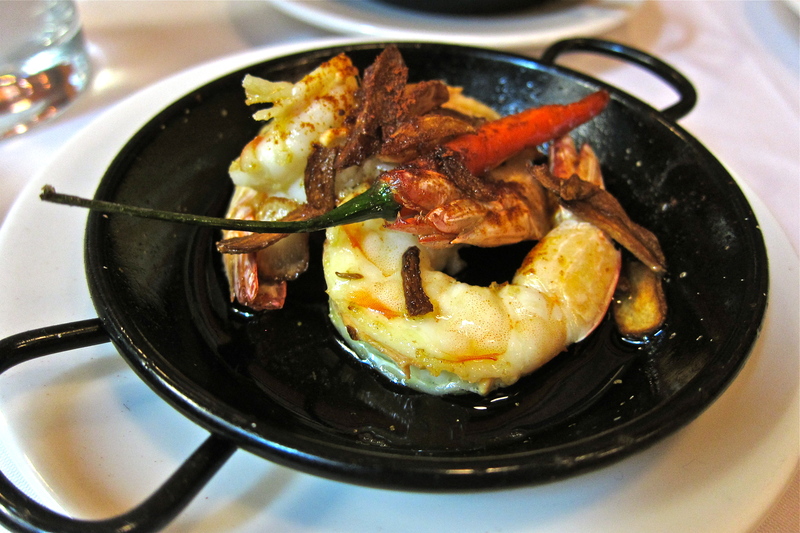 The gambas were definitely the best part of the meal, plump and juicy with a crunch of crispy garlic. 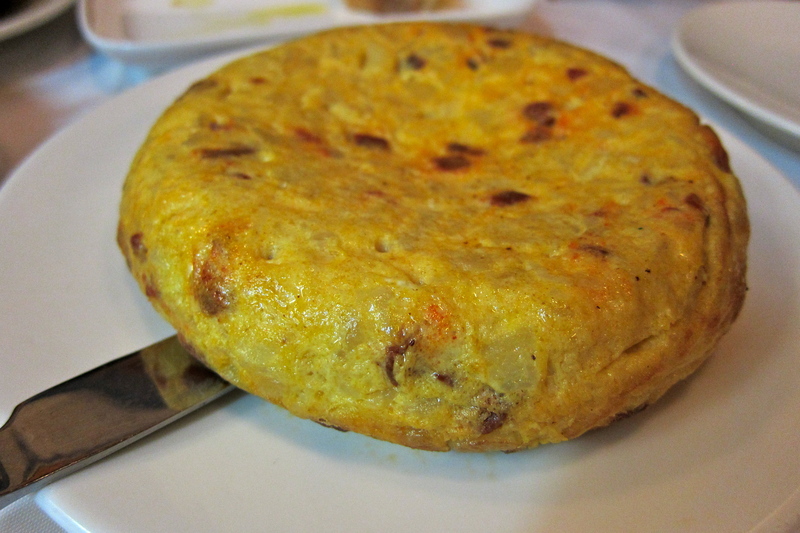 The tortilla was nice, the egg nicely cooked. 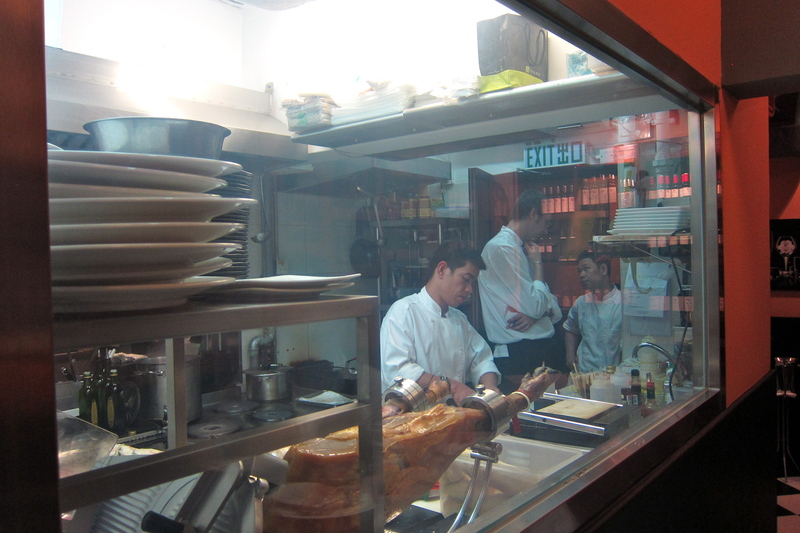 As a staple to a tapas menu, it would be quite a disaster to screw this up. The food is just as uninspiring to write about as it is to eat, and I find it highly improbable that this restaurant will stick around for long. 1. they didn’t charge us for the $400 bottle of wine!! Oooooh, that waitress is in trouble. 2. I’ve also noticed that we were charged HK$25 for the bread basket- I had assumed it was complimentary, considering it landed on our table without any prompting. 4. You can enjoy 10% off lunch on Monday to Saturday if you bring back your receipt! Considering that they also sell quite a large selection of Spanish wines as well we some cheeses, their website is surprisingly bad. If I did want to purchase some of the Albarino that I saw on the shelves, I would have to go physically to the restaurant to review the choices again. I can’t see myself doing that any time soon.